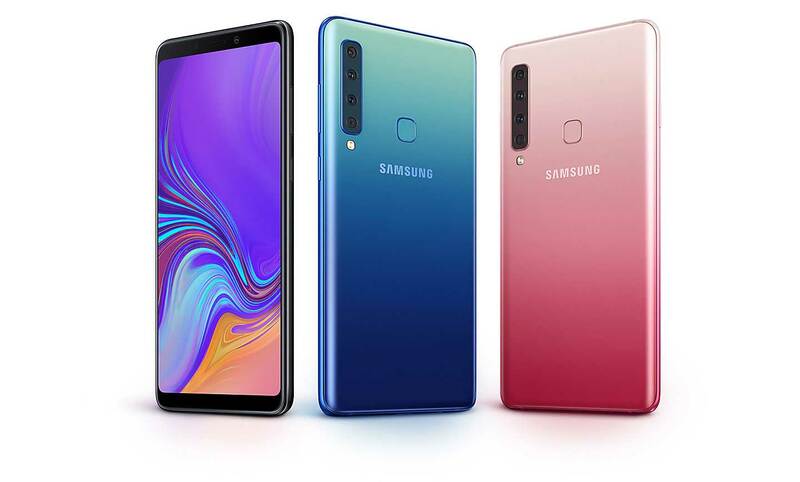 Samsung recently launched the world’s first quad camera smartphone Samsung Galaxy A9 in Malaysia and now the device is expected to come soon in India. The Samsung India official website now has been listed with Galaxy A9 (model – SM-A920F/DS|SM-A920FZBDINS). However, the official release date and price has not revealed yet. 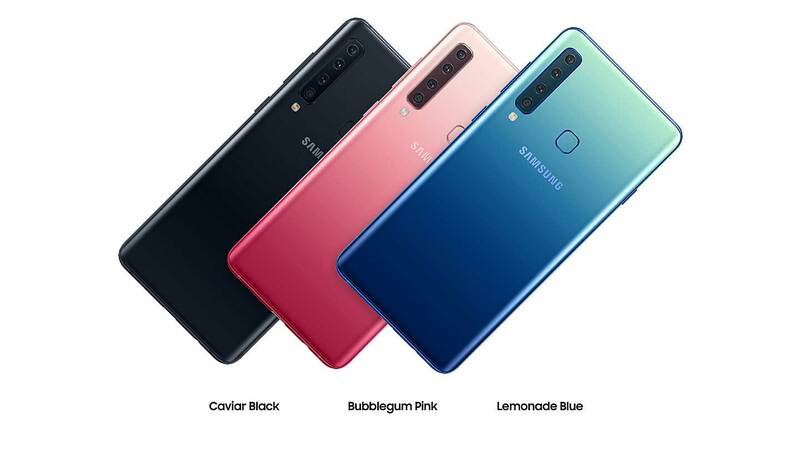 The device will be available in three color options like Caviar Black, Bubblegum Pink, and Lemonade Blue. The Samsung Galaxy A9 comes with a 6.3-inch Full HD+ Super AMOLED display, powered by octa-core Qualcomm Snapdragon 660 AIE SoC. The handset is paired with 6GB of RAM and 128GB of internal storage which can be expandable up to 512GB via a dedicated MicroSD card slot. It does have all the major sensors including a rear-mounted fingerprint sensor. 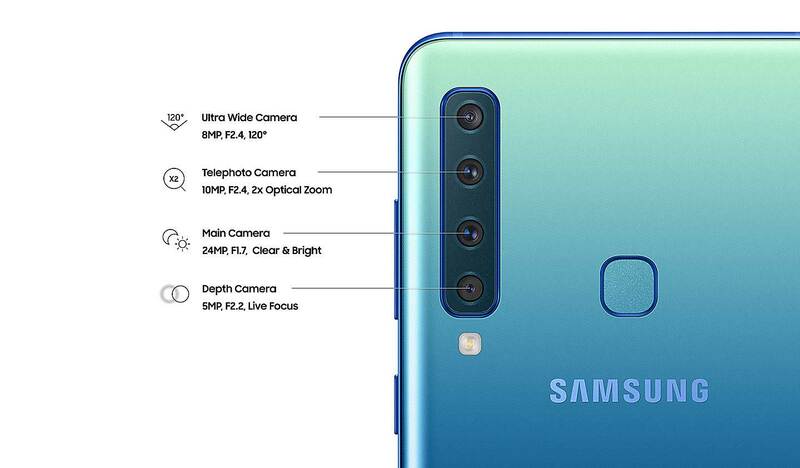 The Samsung Galaxy A9 is the first device in the World to come with a four rear camera set up. It features primary 24MP sensor with f/1.7 aperture, a secondary 5MP depth sensor with f/2.2 aperture, an 8MP ultra-wide angle sensor up to a 120-degree viewing angle, and a 10MP of Telephoto lens with f/2.4 aperture lens supports 2X optical zoom, LED flash. The front features a single 24MP AI selfie camera. The device is running on Android 8.0 Oreo over Samsung Experience UI out of the box. The handset is packed with a 3,800mAh battery with fast charging support. In terms of the connectivity options, the device does have dual 4G VoLTE, WiFi, Bluetooth, GPS, NFC, and USB Type-C port. The device is expected to be priced under Rs.40,000 in the Indian market to compete Huawei P20 Pro and OnePlus 6T in that price tag. The device could launch by the end of November 2018 in India.